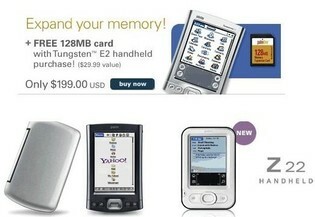 Palm Tungsten E2 handheld-only $199 with a free 128MB Memory expansion card. >>>More specials @ the Palm Store. 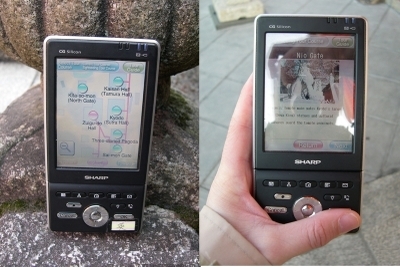 Other than the new iPod, The new Palm® TX handheld was unleashed Today. It comes with built in Wi-Fi and Bluetooth technology. You can use this wireless gadget for browsing the web and reading e:mails from your office, campus, or a home Wi-Fi network and other hot spots like airports, cafes, and hotels. Photos and videos come to life on a large color screen that rotates from landscape to portrait mode. 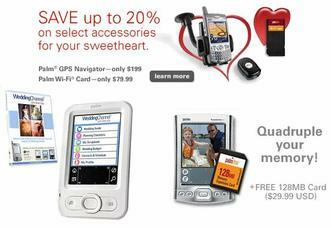 Other features include listening to Mp3 and reading ebooks.